On our second full day in Quito we decided to spend part of the day at the Fundación Guayasamín. The foundation is a museum that contains the works and art collection of Oswaldo Guayasamín (1919 - 1999), a Quechua native and Ecuadorian artist. 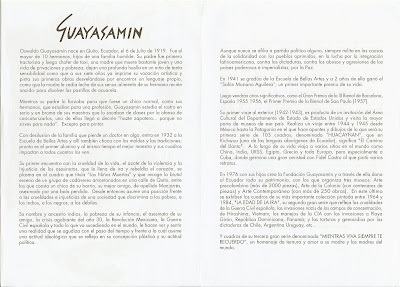 There are a few different parts of the museum to see: archeological and colonial art that Guayasamín collected and Guayasamín’s own artwork. Five blocks away from the foundation is the Chapel of Man (La Capilla del Hombre) designed by Guayasamín. The chapel contains more of his work, in particular large murals. The museum combined with his La Capilla del Hombre (The Chapel of Man) can take a few hours to visit and is well worth the time. We had lunch in the small café on the main museum grounds. The café doubled as the break room for the staff. We had sodas and empanadas, which hit the spot. 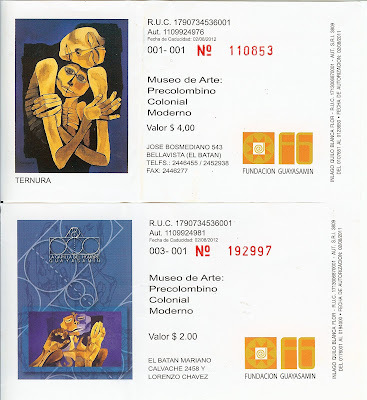 Take a taxi to get to the museum - it’s not a destination that you can easily walk to from any part of Quito. 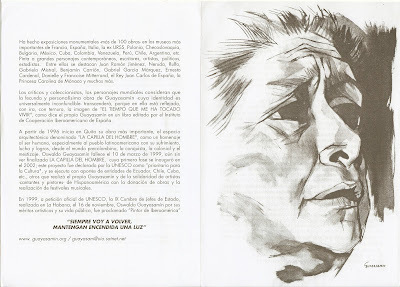 Guaysamín’s work often features dramatic representations of the human figure, in particular, oversized, contorted faces and hands, such as those in the series La Edad de la Ira (The Age or Rage). Guayasamín’s art starkly details the social and political injustice of the indigenous people of Ecuador and South America, the violence of colonialism, and the pain and misery of all of humanity. We had a good time with a guide, Tatziana, who wove the history of Guayasamín with her own as a person who left Russia, endured hard times, and experienced suffering. She peppered her speech with “you remember?” and “comrade” is what our minds filled in. The best soldiers, artists, and musicians? Russian of course. 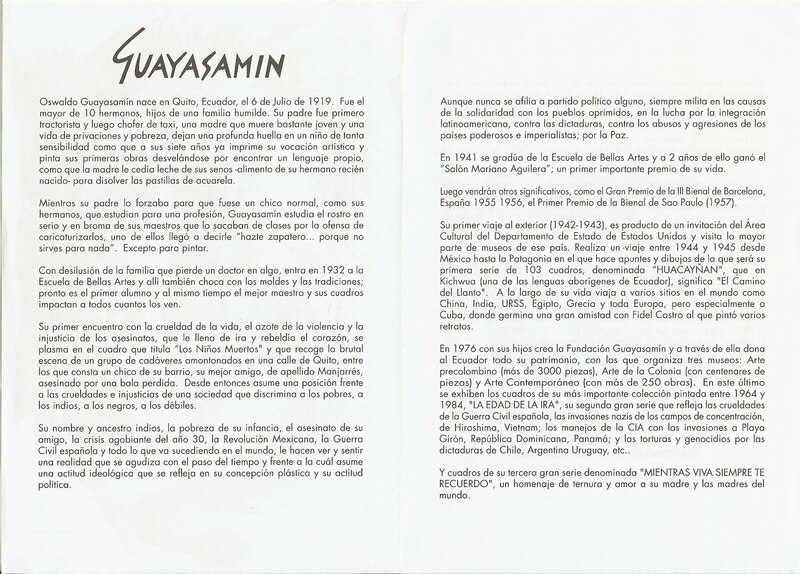 She points out that Guayasamín had two Russian wives out of three. A man of taste. Tatziana sings us a few bars of her favorite Russian patriotic songs and is surprised we haven't heard them before. I think we will remember this museum experience. Guayasamín’s paintings of Quito, jagged patchwork-like and usually in a reduced color palette, really do capture the essence of Quito spread out before the surrounding mountains. His views are better than any photo. In a purely experiential sense and largely due to our brain wiring, looking at Guayasamín’s work - in particular Los Culpables (1963-1965) and Reunion en La Pentagon I-V (1970) both in the series La Edad de la Ira - reminded us of Pink Floyd. His imagery could have worked as album artwork for The Wall. As we walked back from the capilla, and as if to underscore the Pink Floyd connection, we saw a cow grazing in a field with Quito as the backdrop. 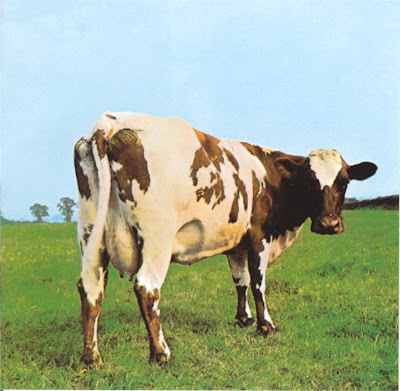 Cue Atom Heart Mother, Tatziana.